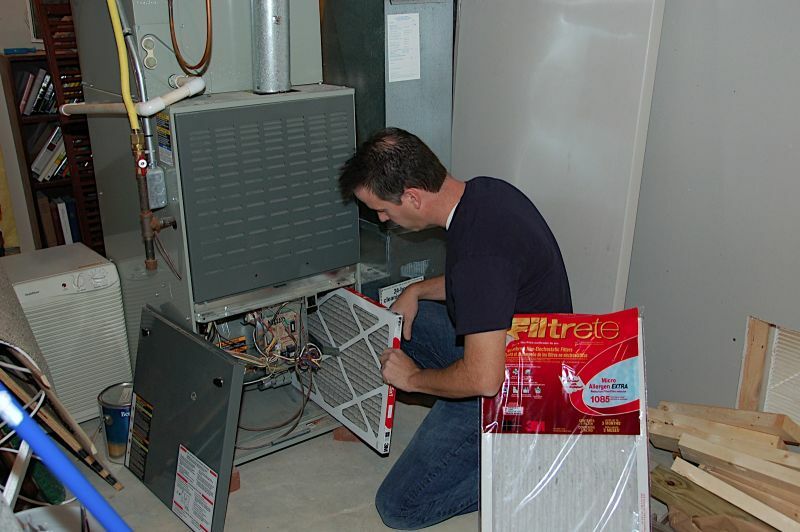 Furnace filters are a critical component of your heating and cooling system. Make sure they are changed regularly. We discuss the myriad of choices in furnace filters in this podcast. The Handyguys group filters into three different categories, good, better and best. Whats best for one person may not be the best for another. The standard filters are good for most people. They permit the furnace to operate as it was designed. When selecting a filter you would typically replace with one equal in size and type to the filter already install on your furnace. This may be a a non-pleated fiber type filter. This type is also the least expensive, costing about $1.50 or $2.00 at the local True Value hardware store. If you desire a replacement filter that has a higher MERV or MPR rating (see below for definitions) there are several choices at True Value. Go into the store with your measurements and pick one out. 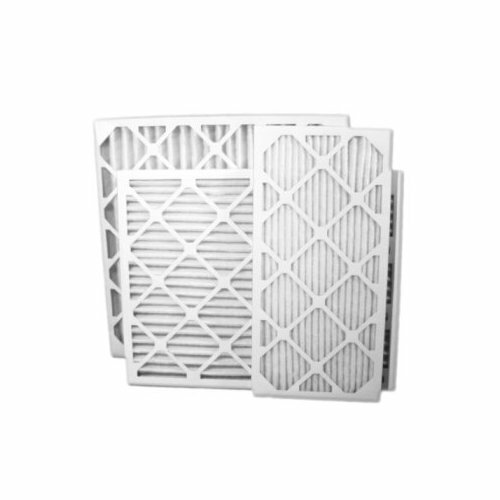 A higher rated filter will catch and filter more particulates from the air. The high end filters will have electrostatic capabilities and can actually filter microscopic bacterias, smoke or other fine particulates from the air. The industry provides ratings for filters. MERV, or Minimum Efficiency Reporting Value, is a number from 1 to 16 that is relative to an air filterâ€™s efficiency. The higher the MERV, the more efficient the air filter is at removing particles. At the lower end of the efficiency spectrum a fiberglass panel filter may have a MERV of 4 or 5. At the higher end, a MERV 14 filter is available. MPR is a term used by 3M and stands for Microparticle Performance Rating. It is actually part of the MERV rating, and measures how efficient an air filter is at capturing particles between 0.3 and 1 micron in size, which make up 99% of the air’s particulate matter. Smoke, bacteria, and smog particles fall within this size range, so if filtering these out of the air is important to you, MPR is a good standard to examine. MPR is used to compare furnace filters to one another, and cannot accurately predict how a furnace filter will actually perform in your particular home environment. The higher the MPR, the more efficient the filter is at capturing these small particles. Lastly – Don’t forget about our contest. We are giving away this awesome toolkit. Check out the details on how you can win by listening to Episode 87 of The Handyguys Podcast. We were one of five bloggers selected by True Value to work on the DIY Squad. We have been compensated for our time commitment to the program and our DIY projects as well as our posts about our experience. We have also been compensated for the materials needed for our DIY project and this giveaway. However, our opinions are entirely our own and we have not been paid to publish positive comments. This is just like a talk radio show. I love it. Great job guys! Paul, you had mentioned that you suffer from some allergies. I have really bad allergies and living in Southern Ohio (apparently the worst possible place to live for allergies) there are plenty of us. My HVAC guy gave me a tip that I didn’t know if you guys had heard about. He said to save money on special filters and allergy meds, he takes a standard pleeted filter and sprays Fabreeze Allergen Reducer on it about once a week. I was suspect at first but I really did notice a huge difference. He said this is exactly what the special filters are but they just charge you alot more for them. Great show guys. Keep them coming!!! Great tip! Thanks for letting us know. Great article, great podcast, we have some information about HVAC systems, air quality, furnace maintenance, if your bloggers want to take a look at it! 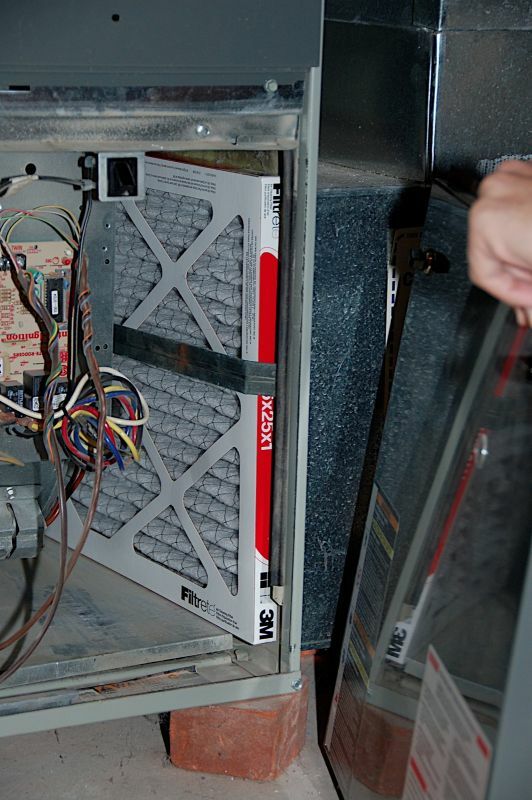 Changing the filter in your furnace twice a year will save you money and help the furnace in the long run. MERV rating is now a marketing term! Think about digital camera, do you think a 15 Mega Pixels is better the 10 Mega Pixels? Some company will give a electrostatic charge to the furnace filters to upgrade the MERV rating!!! One of the most important considerations when choosing a home furnace is energy efficiency. If you select an Energy Star-approved model, you’ll save on your energy use and your utility bill. I have been doing heating & air conditioning for many years. Now, depending on what season you are in (heating or cooling) you may want to seasonally adjust your filter system. First you have to make sure you are diligent in the changing of the filters. 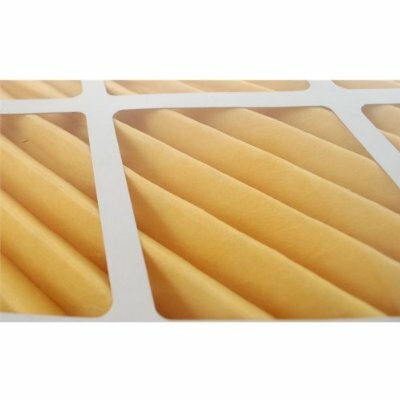 For Air Conditioning I have seen better desired temperatures reached with the cheap fiberglass filters (allows more air flow) for heating use a paper filter to slow the air flow down a little allowing a higher temperature rise across the heat exchanger. Play with it and see how it works for you.